Use with Moda Charm Packs. 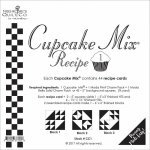 Cupcake Mix Recipe #1 includes 44 recipe cards that make one 3" finished half square triangles and four 1.5" finished half square triangles. Two assembled Recipe Cards make one 6" finished block. 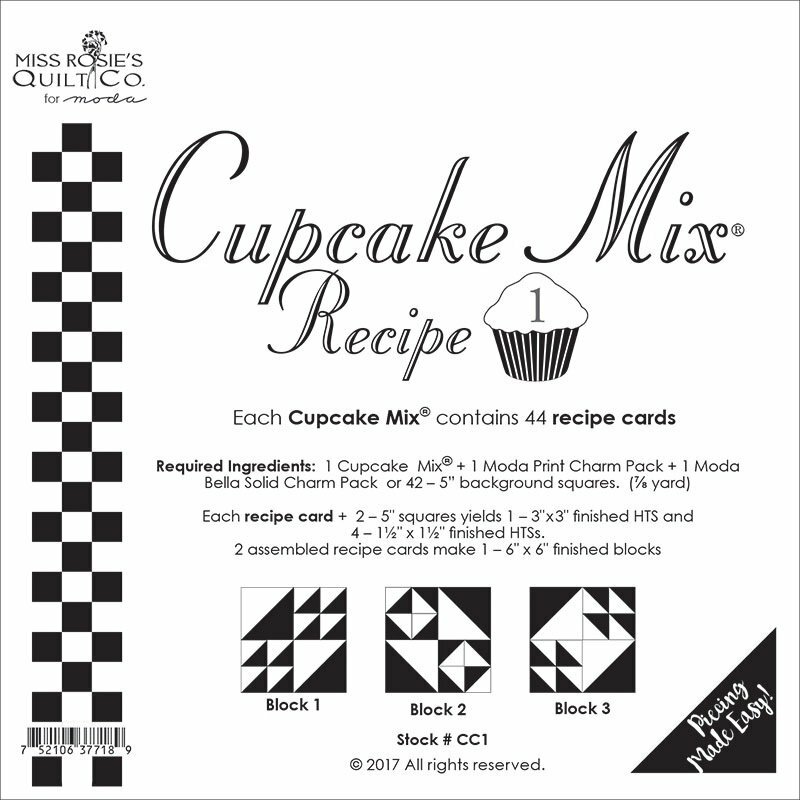 Cupcake Mix Recipe #1 has three block options.